Bos Technology voice is fully managed from installation, to on-going maintenance, to upgrades by Bos Technology's Support Team. Whether its mobility, unified messaging, a call-center or simple dial-tone, our solution allows you to choose the exact features you need. Built on the most stable hosted PBX system available with over 20 million hosted seats sold. 24x7 support team available for all your maintenance and support needs. Lower total cost of ownership compared to traditional phone service. Worry-free installation, maintenance, and support. Receive the latest software upgrades at no extra cost. 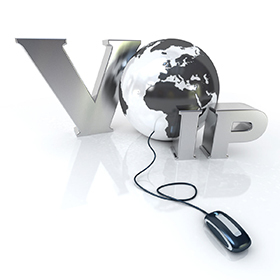 No need for a dedicated IT staff or costly and extensive training to maintain your hosted VoIP system. 100% scalable - Your costs adjust with the size of your business. Keep your current phone numbers. Find me / Follow Me feature – Allows you to choose which phone your incoming calls are routed to so you never miss a call. Whether the number is listed in an email or a web-page, dial any number on your screen. "Click-to-Dial" directly from Microsoft Outlook contacts, view detailed call logs, send to voicemail, hold, transfer, conference… all from your desktop. Allows up to ten phone numbers and/or extensions to be assigned to you. You can have a distinctive ring for calls to your second and third phone numbers. Never miss another call. This feature allows one phone number to ring to all of your phones; your desk phone, your cell phone, your soft phone, your home phone - you name it. Allows you to define a "find-me" list of phone numbers that are alerted sequentially for incoming calls matching specified criteria. While the service searches for you, your calling party is provided with a greeting followed by periodic announcements until the service reaches you. 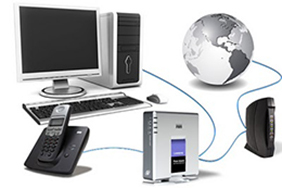 Turn your home phone, cell phone or even your hotel room phone into your office phone. Caller ID will show as your office hosted phone number and all calls are routed through your office. Whether at home or across the country, all calls are directed to your "remote office".